I dealt with Knee pain for a while always thinking it was the way I ran. Turns out it was all those muscles surrounding the Knee that weren’t getting the attention they needed. The more massage I received, self massage I performed, use of a foam roller and better I ate the less I felt it. 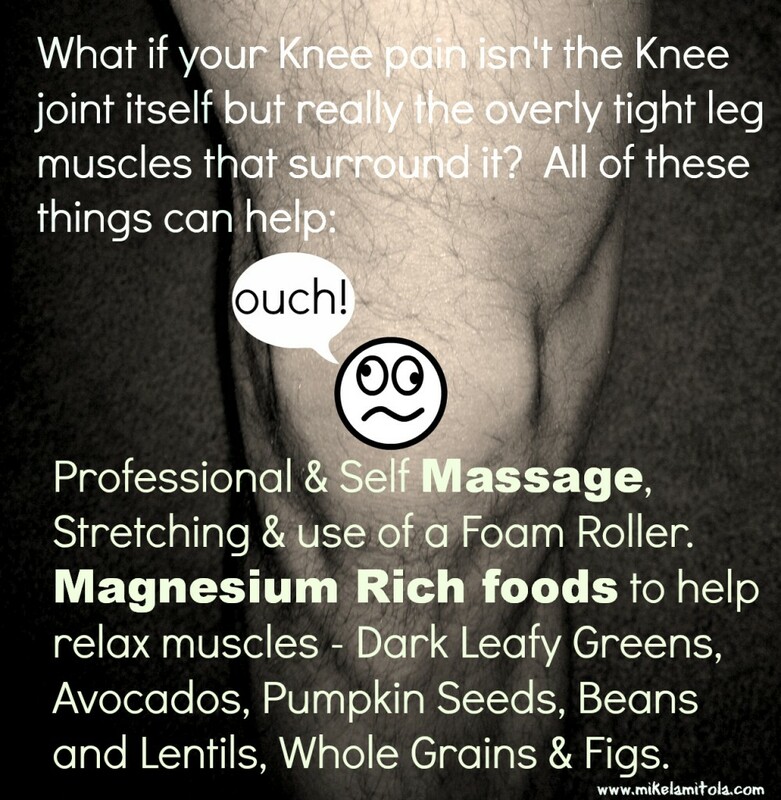 As far as the eating, adding lots of Magnesium rich foods is great for our muscles. Just keep up on all of these things and you’re whole body will thank you!